Camp Masonry is Proud to Host These Fine Degrees, Tyled Within The Walls of A Frontier Style Fort. Current Dues Cards Are Required to Attend all degrees except the DeMolay Degree. 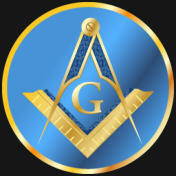 You Must Be Under Jurisdiction of a Grand Lodge Recognized by the Grand Lodge Of Ohio F&AM for admittance. If You are unsure your membership is included, please contact your lodge secretary before making your Camp Masonry 2018 plans. If you are a Regular Master Mason in Good Standing, and would like to join The Shriners, you may petition on site. 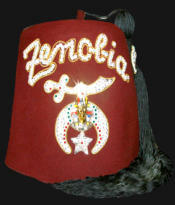 Initiation fees for Zenobia Shriners are not included in the admission ticket price. Saturday, Aug 10th - 1st section 6:30pm, 2nd section 9:30pm The first section of the degree will start at 6:30pm. A torch-lit procession will return the lodge to the frontier style fort and back to labor, following a Festive Board Dinner and key note speaker. As the doors of the fort close, and the stars light up the night, the second section, lecture, charge will continue while the campfire and torches stir the imagination of all in attendance. The Shrine Ceremonial Friday, Aug 9th 8:00PM Zenobia Shriners, charted by Shriners International, part of the “Greatest Philanthropy in the World”, “Shriners Hospitals for Children”, will be creating new Nobles at Camp Masonry. The Ceremonial will be open to Shriners and Master Masons who are “Elected Petitioners”. Call or email the Recorder at Zenobia 419-661-9200 recorder@zenobiashriners.com for petition or information. Saturday, Aug 10th 2:15pm Experience the Initiation Degree Performed by our Friends from the Fabulous 5th District of Ohio, as the Grand Master’s Class begins the journey for our newest candidates. Saturday, Aug 10th 4:45 PM The Journey continues as our newest Brothers learn about the next step in their Masonic Lives. Current Dues Cards Are Required to Attend all degrees. 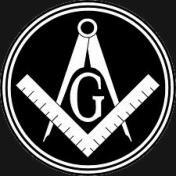 You Must Be Under Jurisdiction of a Grand Lodge Recognized by the Grand Lodge Of Ohio F&AM for admittance. If You are unsure your membership is included, please contact your lodge secretary before making your Camp Masonry 2018 plans. If you are a Regular Master Mason in Good Standing, and would like to join The Shriners, you may petition The Zenobia Shrine on Site. Initiation fees are not included in admission ticket price. Camp Masonry is Proud to Host These Fine Degrees, Tyled Within The Walls of A Frontier Style Fort. Saturday, Aug 10th - 1st section 6:30pm, 2nd section 9:30pm The first section of the degree will start at 6:30pm. A torch- lit procession will return the lodge to the frontier style fort and back to labor, following a Festive Board Dinner and key note speaker. As the doors of the fort close, and the stars light up the night, the second section, lecture, charge will continue while the campfire and torches stir the imagination of all in attendance.